Fourth-string quarterback Ryan Brand made his first career start for the Terps and his inexperience showed in the loss to Michigan. College Park – It was a game full of special team’s errors, bad field position and turnovers in Ryan Brand’s first start at quarterback as the Maryland Terrapins lost 35-10 to the Michigan Wolverines on Saturday. Brand become the fourth different passer to start for the Terps this season. The walk-on from Detroit got his first start against a Michigan team that he grew up 45 minutes away from. While it was sure to be a memorable moment, his inexperience showed and some questionable play calls against a stout Michigan defense proved to be too much for the redshirt-sophomore. 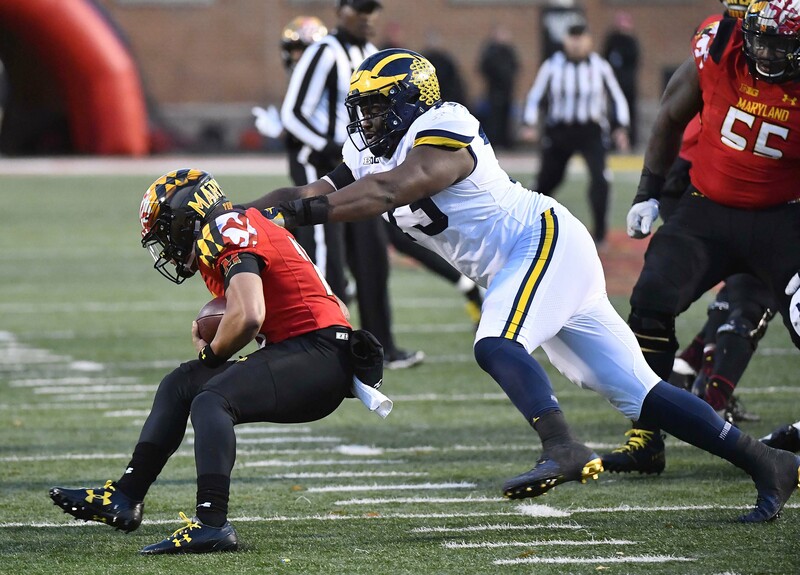 Both teams failed to score on their opening possession, but it did not take Michigan long to impose their will over Maryland as fullback Henry Poggi punched it in from two yards out to give Michigan an early 7-0 advantage. It was the first collegiate touchdown for the Baltimore native from Gilman School. Lorenzo Harrison had a couple of bad plays on the Terps’ third drive that cost them points. Maryland attempted to run a backward pass to Brand, but Harrison’s throw was off the mark. A few plays later, Harrison caught a pass in the flat, broke the initial tackler, but went backwards for a 14-yard loss on the play. Maryland would punt the football and thought to recover a fumble on the play, but the ball never touched a Michigan player. The end result was the Wolverines needing five plays to go 66 yards for another score. Brandon Peters found Karan Higdon on a short pass and the junior running back took it 35 yards. Tack on a 15-yard penalty for a roughing the passer penalty on the play and the Wolverines were in the red zone that quickly. Four plays later, Chris Evans plunged into the end zone to increase the Michigan lead to 14-0. The Terps tried another trick play backed up deep into their own territory on a fake punt and it backfired quickly. The Wolverines took over possession at the Maryland 33-yard-line and Peters needed one play to find a wide open Zach Gentry for a touchdown to stretch their lead out to 21-0. The special team’s woes would continue on the next series as Wade Lees’ punt was blocked deep in Maryland territory. Michigan would take over from the Terps 19 and scored quickly once again. Higdon broke off a 16-yard carry on the first play and Peters touchdown pass to Sean McKeon made it 28-0 with still 8:21 remaining in the second quarter. You could see some Maryland fans already headed to the exits following the score. 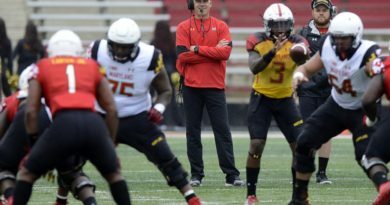 It did not take long for Maryland to be in another predicament on fourth down as they faced a fourth-and-1 from their 30-yard-line. Jake Funk barely picked up the first down, but it got the Terrapins the key first they needed. Harrison made up for his earlier mistakes with a 36-yard gain and D.J. Moore completed a 21-yard pass to Brand on a reverse play to set Maryland up with first-and-goal. Unforutanely, the Terps bad luck continued as Brand’s pass for Moore was picked off in the end zone by David Long and returned 80 yards. If there was one small ray of hope in the half, it was that the Maryland defense was able to force Michigan to a field goal attempt following the interception, a kick they missed. The start of the second half went just as poorly as the first as the kickoff return amounted just nine yards. 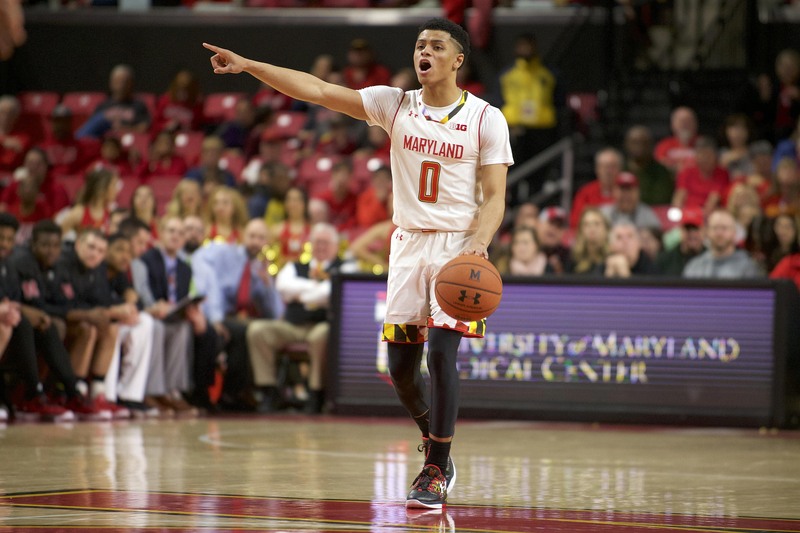 The Terps went three-and-out once again on the series and forced to punt. While Michigan failed to make anything out of the change of possession, they fielded the punt at the Maryland 47-yard-line, giving the Wolverines five straight possessions inside Maryland territory. Brand got the offense moving into Michigan territory for only the second time of the afternoon with 26-yard run to start the drive. Ty Johnson found some room to pick up another 20 yards and Maryland looked to be in position to get its first points of the game. That would not be the case as Henry Darmstadter’s 43-yard field goal was wide right and the Terps would remain scoreless. Maryland finally got on the board late in the third quarter with a Darmstadter 20-yard field goal just before the third quarter expired. A big gain by Ty Johnson on the ground and completions to Taivon Jacobs and D.J. Moore set them up inside the Michigan five-yard-line. The drive stalled there and the few Maryland fans that still remained in the stadium booed the decision to kick the field goal over going for the touchdown. Brand led Maryland on their best drive of the game on the next possession with a 11-play, 75-yard drive that resulted in more points. They needed two fourth-down conversions to keep the drive alive on a series that started with a 27-yard completion and ended on a 10-yard touchdown grab to Jacobs to cut the Wolverines lead to 28-10 with 9:46 remaining. Michigan responded with another touchdown drive to end any hopes for a Maryland comeback. A pass interference penalty on RaVon Davis moved the Wolverines into Maryland territory, and Evans rushed for gains of 14 and 17, the latter for a touchdown, to finish the scoring at 35-10. The loss for Maryland puts them at 4-6 and needing to win out in order to become bowl-eligible. 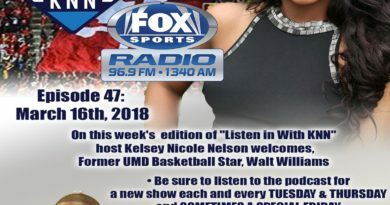 That will be a tough task for the Terps as they will travel to East Lansing next week to take on Michigan State before hosting Penn State on Senior Day.